I created this lovely art piece for my sister and daughter for Christmas. I am a little behind in posting :). My original vision of this project looked a lot different. However, due to time constraints this is what I came up with! The center portion is comprised of a piece of gray fabric and a series of buttons adhered with hot glue. I embroidered the butterfly's antenna using black floss and a needle. 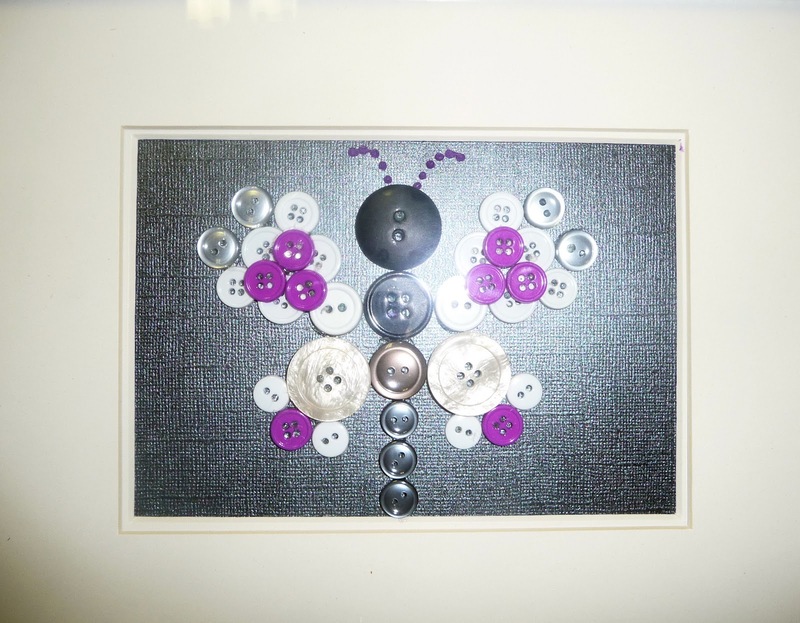 The smaller framed pieces contain hand-painted butterflies. I am not an artist...so, please don't look too close :). I drew the antennae using a sharpened pencil. The polk-a-dots were created by dabbing the end (opposite from the brush end) of my paint brush into paint, then onto the butterfly. The size of the dots was created based on the amount of paint on the end of my brush. I made a card to go with my gift. In college, I worked as an entomologist and saved some of these insect pin papers for a future project. 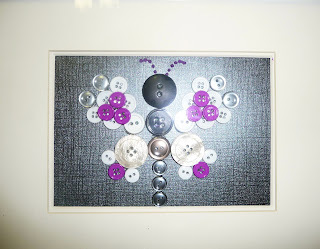 Have fun creating other exciting shapes with buttons! Thanks for sharing the photo Linsday!